This summer, the Department of Veterans Affairs (VA) released a report summarizing the VA Health Administration’s Occupational Staffing Shortages. The report details the current status of VA Medical Centers across the United States, including self-reported disparities in staffing from both clinical and non-clinical viewpoints. Additionally, the summary report highlights the need for the VA to produce a standard medical center staffing model at the national level, with variance to accommodate individual centers at the local level. While staffing needs varies among individual medical centers, a major theme came to the surface within the report: In over 20% of Veterans Affairs Medical Centers, there is a severe shortage of anesthesiologist providers. The importance of this result cannot be further pronounced. As a distinguished model for providing healthcare for those who served for their country, the VA Health System is a crucial healthcare institution in the United States. The VA provides not only primary care, but also additional healthcare services such as prescription refills, PTSD treatment, and outpatient procedures. In addition, many VA Medical Centers perform state-of-the-art operative procedures, including advanced surgeries that require an inpatient stay. 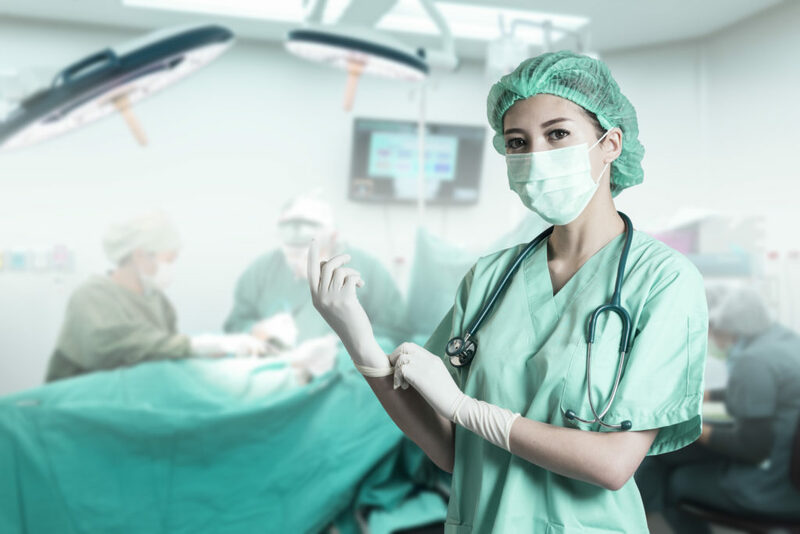 In these facilities, which are often located in major cities with great patient volume, anesthesiologists and Certified Registered Nurse Anesthetists (CRNAs) are critical. Anesthesia professional societies and veterans’ advocacy groups alike agree that advocating for an increase in anesthesia clinicians at VA Medical Centers is essential for providing holistic, specialist care. Yet, the policies on anesthesia provider authority are segmented and historic. In many hospitals and health centers across the United States, CRNAs are treated as highly skilled anesthesia professionals that can function independently. However, in contrast to the wide spread utilization of CRNAs, the VA as an institution has not yet aligned with this trend. In 2016, the VA produced a policy change stating that advanced practice registered nurses would be granted full access — such as certified nurse practitioners (CNPs), certified nurse-midwives (CNMs), and clinical nurse specialists (CNSs). However, CRNAs were excluded from this ruling. Upon inquiry as to why CRNAs were not included as advanced practice nurses, the VA responded that there was not an unmet need for anesthesia providers in their hospitals — a conclusion that is in direct contradiction with the recent occupational staffing reports. The shortage of anesthesia providers is not an issue isolated to the VA. In 2010, RAND Corporation published a study predicting that the U.S. would experience a shortage of anesthesiologists by 2020 in the magnitude of tens of thousands. National news outlets and articles have also previously reported on the nationwide shortage of anesthesia drug availability. Of course, the question arises of a viable solution to these issues. One potential answer is CRNAs. As trained nurses, CRNAs are highly specialized to fulfill anesthesia needs throughout the perioperative cycle. With guidance from anesthesiologists, CRNAs can serve as a valuable resource for patients and members of the operative team, leading anesthesia care to provide the greatest clinical outcomes. Whether in the V.A., nationwide, or hospital-by-hospital, the urgent need for anesthesia providers, including both anesthesiologists and CRNAs, is clear in the U.S. healthcare system.